Born on the shores of Virginia Beach, Leesa Sleep has been dedicated to crafting American-made mattresses since 2015. As an early pioneer of the bed-in-a-box movement, the direct-to-consumer brand has since blossomed into one of the most successful companies in the mattress game. So, how did they become so popular, and where will Leesa go from here? Well, Sleepopolis is here to find out! 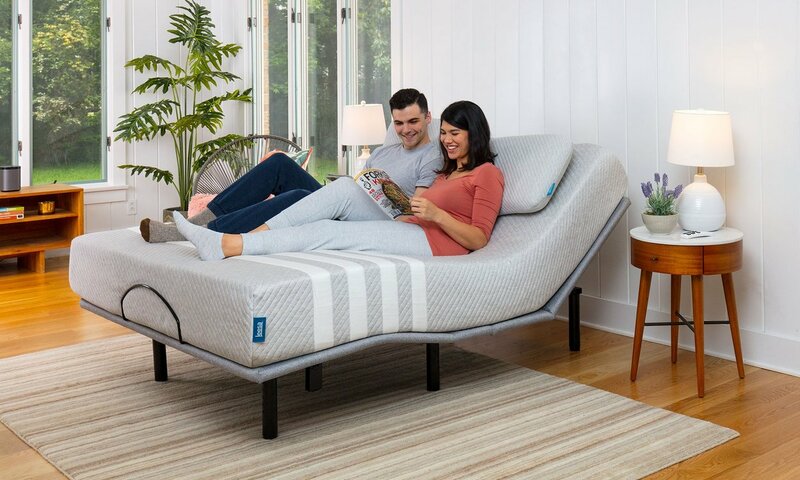 This week, we had the pleasure of chatting with Leesa co-founders David Wolfe and Jamie Diamonstein, who told us all about how they got started in the mattress industry, what they have planned for 2019, and how they get great sleep. Oh, and be sure to dig into our Leesa mattress reviews when you’re done reading! Image provided courtesy of Leesa Sleep. 1.) So, tell us. How did you get into the mattress industry, and who helped Leesa get to where it is today? 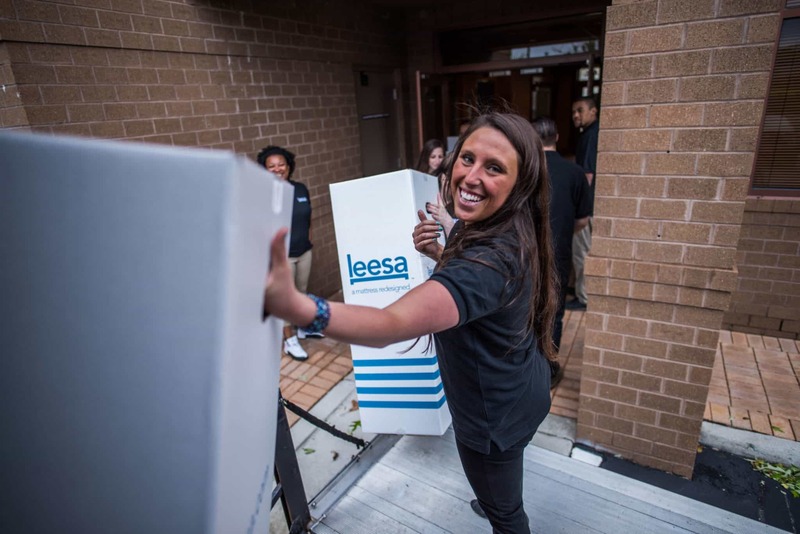 The founding team at Leesa combined e-commerce expertise, design talent, and a deep knowledge of developing mattresses. The goals were to create amazing mattresses that help you sleep better, simplify the buying process, deliver great value, and make a difference in the world by donating one mattress for every ten sold. So many people helped Leesa get where it is today. The founding team has been joined by extraordinary people, and the Leesa team has delivered. To pinpoint who has helped, you could look at any area of our business and at our community of suppliers and partners. In the end, everything comes back to our customers. Their willingness to try our mattresses, and to give a new company a chance, made all the difference. Our job is to ensure that their experience is so good they’ll want to share the Leesa story with everyone. We are proud of our achievements, but we know there is a long way to go. 2.) Interesting! So, what is Leesa’s goal in regards to providing a great night’s sleep? Our goal is to deliver deeper rest for every body. We believe that everyone has a right to rest. To do that, you need a sanctuary in your home — a place where you can reconnect with yourself and the people you love. A Leesa mattress is the centerpiece of that sanctuary. 3.) What is unique about what Leesa brings to the industry? Apart from our incredible mattresses, there are some things I would call out as unique. Firstly, we offer an amazing hybrid mattress that combines the premium support of individually wrapped pocket springs with specialty foams that provide pressure relief and support. Secondly (and perhaps most importantly), Leesa has an industry-leading social impact program through which we donate one mattress for every ten we sell. Additionally, we plant trees, and have a comprehensive community service program that our employees engage in. 4.) What innovations do you believe will be most important to the industry in the next two years? The biggest innovations will come from new materials that help you achieve deeper rest. We also believe that awareness of the health benefits of deeper rest will become better understood. Some innovation may come from sleep tech (in terms of monitoring), but the more important work will come from innovation in materials that promote deeper, healthier rest. 5.) Can we expect anything big coming soon from Leesa? You can always expect new things from Leesa. Our footprint is growing in terms of where you can try a Leesa mattress, our innovation pipeline is strong. We are excited about our plans for 2019 and 2020! 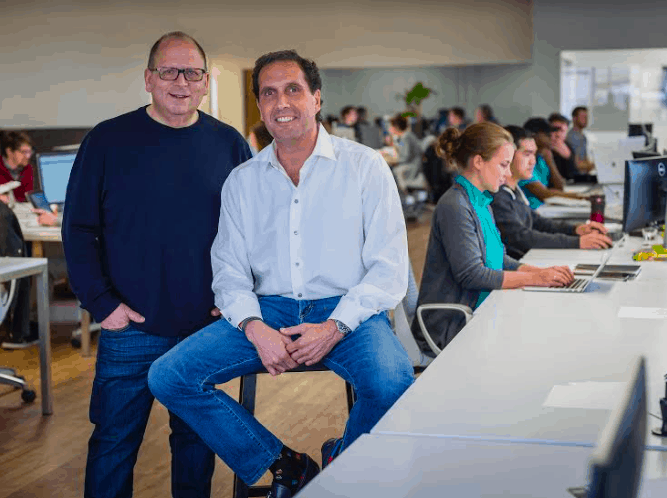 Leesa Sleep Co-Founders David Wolfe and Jamie Diamonstein. 6.) What are the most common misconceptions people have about buying a mattress? The most common misconceptions probably revolve around the price/benefits relationship —you can potentially spend significantly more money than you need to. Our mattresses offer great support, pressure relief, and comfort, without breaking the bank. You don’t need to pay a fortune. On the other hand, there is a big difference between a cheap (often imported mattress) and a Leesa mattress. Below a certain price point, you get what you pay for. With Leesa, we always make sure you get an extraordinary mattress and sleep experience for the amount you pay. 7.) Other than using your product, what tips do you have for getting a good night’s sleep? Un-clutter your bedroom and your mind before you go to bed. Turn your bedroom into a sanctuary and strive for deeper rest… Because a well-rested world is worth waking up to. A big thank you to David Wolfe and Jamie Diamonstein for taking the time to chat with Sleepopolis! For more information on the Leesa mattress, be sure to check out our review!